L 2000 x 1365px 8 Mb. XL 7091 x 4841px 15 Mb. 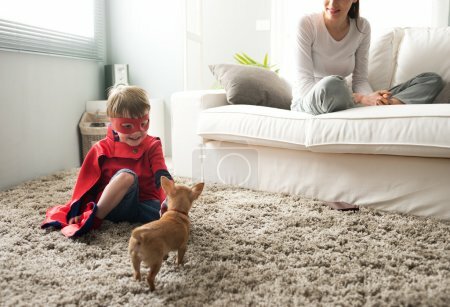 Cute superhero child and mother spending time together in the living room playing with dog.